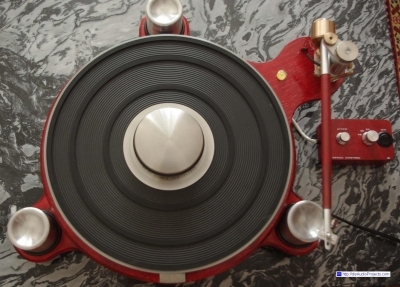 The DIY turntable is built around the drive motor assembly from a Dual 701 record player. The plinth is built up by stacking plywood pieces. The tonearm is made from scratch following a complicated magnetically stabilized pick-up design.